The SANI-LIGHT GERMICIDAL UV IRRADIATOR irradiates room air and exposed surfaces with direct germicidal ultraviolet rays. This treatment is very effective due to the long unobstructed path of the rays. SaniLIGHT Germicidal Ultraviolet Irradiators should be utilized during periods when the room is unoccupied or when occupants take appropriate protective measures. Two types of these STER-L-RAYTM Ultraviolet Germicidal Lamps are offered. The Slimline, instant start lamps utilize tungsten filaments. Lamp life is governed by the life of the filaments and is affected by the frequency of starting. 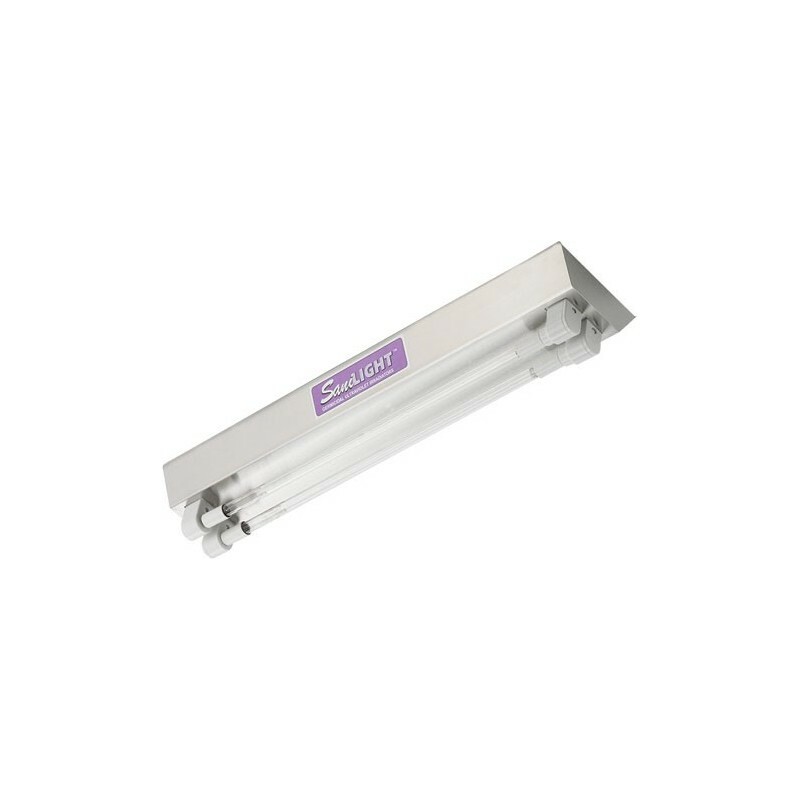 Slimline lamps are well suited for a variety of air and water purification applications, which require high ultraviolet intensity. The Cold cathode, instant start lamps utilize large cylindrical cathodes instead of tungsten filaments. STER-L-RAYTM cold cathode, germicidal lamps possess favorable operating characteristics their life is significantly longer than that of other lamp types, they are not adversely affected by the frequency of starting and they maintain a high ultraviolet output throughout its life, even at reduced temperatures. 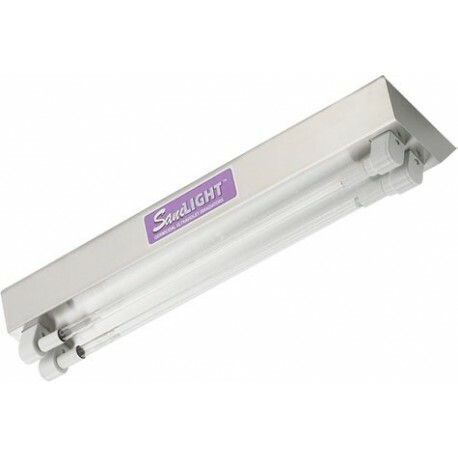 Cold cathode lamps are well suited for air and surface disinfection due to their long life and low depreciation. Cold cathode germicidal lamps are widely used in walk-in refrigerators and holding rooms and are also employed in applications where frequent starting is a requirement. Standard items are 120v 50/60Hz. For international customers, a 230v 50/60Hz item may be special ordered for a slightly higher price please call us for a quote. There are many sizes/configurations of our Sani-Light Germicidal Fixtures.